Decided to cook some breakfast this morning. 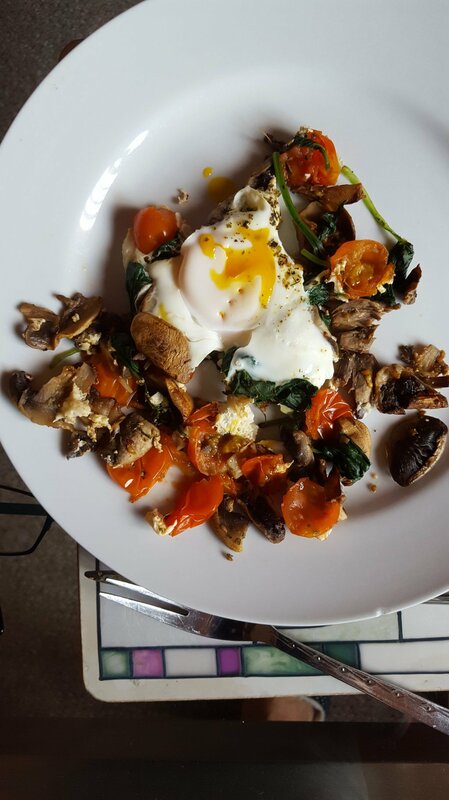 Mushrooms, cherry tomatoes, spinach, herbs, ground pepper and an egg plopped on the top. Popped the lid on and cooked for five minutes. Must say, it was a glorious start to the day and filling too.